Kate Frey and Christa Moné created American Garden School (AGS) to provide gardeners in the U.S. with a quality education. All classes are based on practically applied horticultural and agricultural science, combined with professional techniques the founders have used for years in a variety of domestic and international landscape settings. 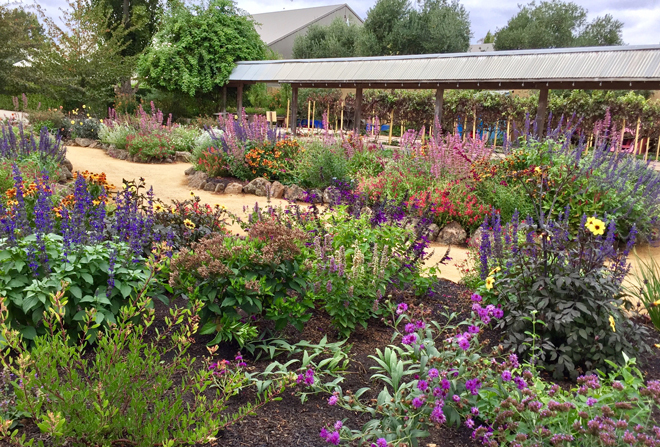 Drought tolerant plantings, sustainable practices, and fire-safe landscaping courses are designed to help West Coast gardeners create successful and beautiful gardens. Two-time Chelsea Flower Show gold medal winner, educator and renowned horticulturist and designer Kate Frey, together with local landscape manager and designer, Christa Moné, bring a wealth of experience and expertise to the venture. Together they are committed to teaching people how to create gardens that are beautiful, creative, healthy, productive, and easy to care for. Classes are held at Cornerstone Gardens in Sonoma. For complete details and registration information visit www.americangardenschool.com.